About a month ago, I started seeing tweets and facebook updates about people waiting in virtual lines for the new Mailbox App for iPhone. I was intrigued, so I jumped in line. It took almost 2 weeks before I got access. Within minutes I was saying, “Wow, this is a pretty cool app.” However, or the past several weeks, I’ve simply been “playing” with Mailbox. I use it as my primary email client, but I didn’t really use it the way it is intended to be used. You see, the creators of Mailbox realized that mobile email is kind of broken. People read their emails and often mark them as unread or flag/star so they can do stuff with it later instead of really working their inbox from the phone. 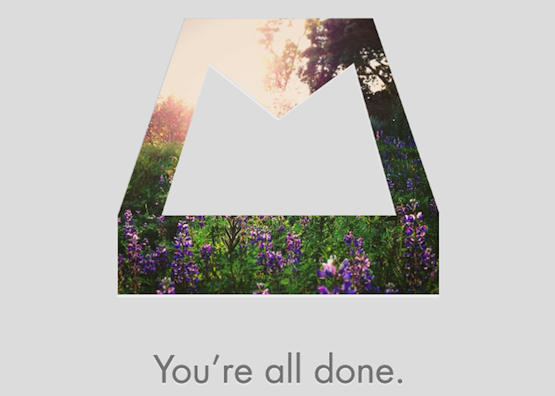 Mailbox was designed to push your toward inbox zero. Inbox zero is pretty much the goal of getting rid of every email in your inbox on a daily basis. It’s the idea of working a system so that every email is either answered quickly, deleted, archived (searchable for later), delegated to someone else, pushed back for later or put on a list to be done. If you can apply this system quickly to every email that comes in, there isn’t any reason why you can’t get to inbox zero every day. Then when you have some extra time (on your determined time), you can work on the emails on your to do list. I saw I’ve been playing with Mailbox because I have four emails connected to Mailbox and for the past 2-3 weeks, I’ve had a little over 3000 unprocessed, read or starred emails in the combined inbox. Then today, something happened. I took about two hours and worked the system. I applied the process to every email in all my inboxes from now as far back as January. Any emails before January, I just archived. If I haven’t done anything with them since January, I’m probably not going to do anything with them. When all was said and done, I had a little over 40 emails in my “to do” list and I was at inbox zero. Look! Check out the video below to get a better idea how Mailbox works. It may change your life. The true test will be 3 months from now. Do I still have inbox zero? It sounds like an amazing app! Unfortunately, can’t find it for android.